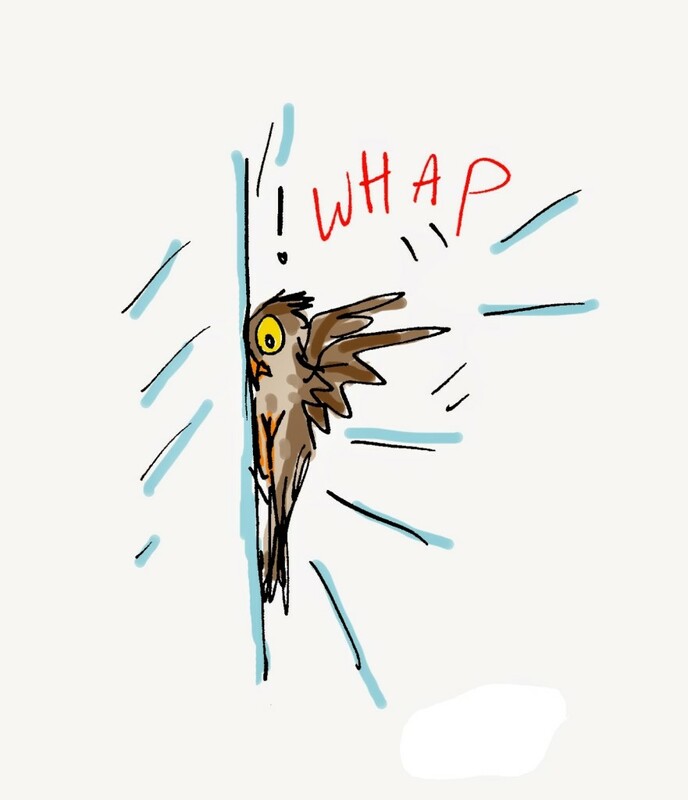 We’ve all seen or heard a bird fly into a window, and while bird collisions are nothing new, the problem is increasing. Because of widespread urbanization, trends that favor larger panes of glass in both residences and commercial construction, and more reflective coatings on glass, bird crashes are on the rise. The birds are either fooled by the transparency of the glass, or they believe the reflections they see in windows (trees, sky, bushes, etc) are real, and sometimes die trying to get to them. Unfortunately window collisions kill millions of birds every year, but there are several easy ways to prevent the crashes. There is a wide range of commercial products available for this problem, and the DIY solutions are endless. There are some concerns with curb-appeal, and most of the solutions out there offer a subtle way to help without making your home look ridiculous. The American Bird Conservancy has its own line of Bird Tape available at arcbirdtape.org. It is a translucent tape and can be used to make designs on the windows that birds can see. 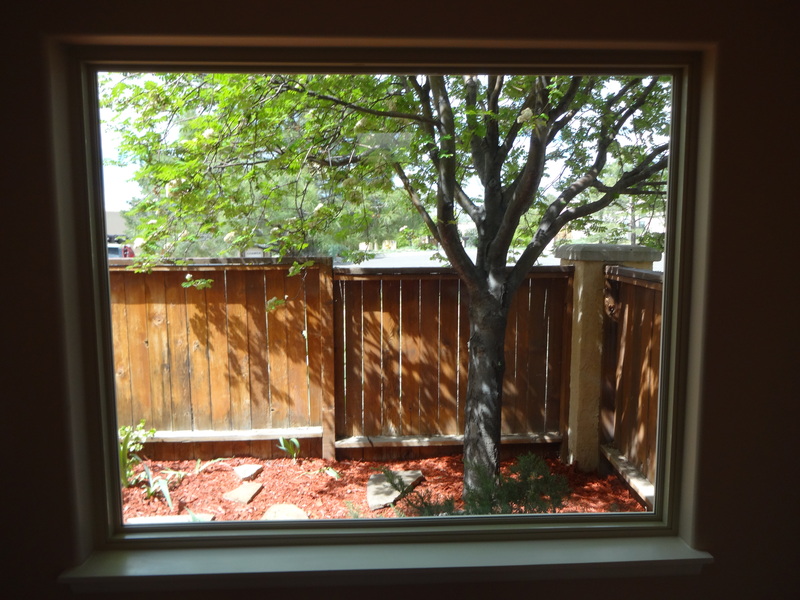 Bird Screen, available at birdscreen.com creates a barrier between birds and window glass. CollidEscape, available at collidescape.org, is a film you apply to the outside of windows to reduce reflection. Options for the do-it-yourselfer’s out there are practically infinite. Hanging virtually anything – ribbons, string, small branches, or any kind of decoration or decal – in front of the windows will work. The unobtrusive netting used to protect fruit trees is a great option. With washable paint like Tempera paints or even soap, you can use stencils to make a design on the glass, or even let your kids have at it. The designs help break up the reflections of trees and plants that birds fly toward believing are real. The problem is preventable, and not every window needs to be made bird-safe, nor do all windows need the same remedy. At Glass-Rite we take pride in our spotless glass but we also want to be environmentally friendly. We hope this helps out those of you who have this problem! To see the different types of glass we put in our energy efficient windows please stop by our shop and showroom and we’ll be happy to give you a tour!